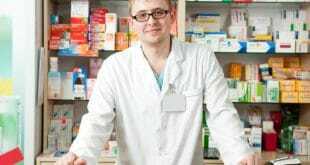 Home / Pharmacy Technician / How Much Does a Pharmacy Tech Make? Interested in pursuing a career in healthcare that is in demand? Pharmacy technician is one option to consider. The US Bureau of Labor Statistics projects that the career growth for pharmacy technicians will be around 20 percent between 2012 and 2022. This percentage increase is faster than average for all occupations (Occupational Outlook Handbook, 2014). 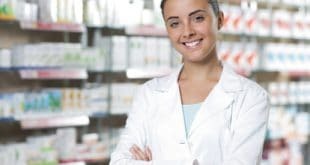 Pharmacy technicians assist licensed pharmacists with the dispensation of prescription medications to retail customers, patients and other healthcare professionals. Day-to-day duties include measuring amounts of medications for prescriptions, counting tablets, preparing ointments, labeling and packaging prescriptions, answering customer phone calls, entering necessary information from patients and health professionals into a computer database, processing insurance claims, accepting payments, organizing and restocking inventory and arranging for customers who have medical or health questions to speak with the pharmacist. These technicians largely work in the pharmacies of grocery and drug stores and hospitals. While most work full-time, part-time opportunities are also available. Exact numbers vary somewhat and depend upon numerous factors. Median full-time salaries for this occupation are slightly under $30,000. In other words, half of pharmacy technicians earned more than the reported median wage and half earned less. The website, Glassdoor, reports that the median salary posted anonymously by employers and employees in the industry was $27,000 (Glassdoor, 2014). The US Bureau of Labor Statistics’ Occupational Outlook Handbook states that the median 2012 pharmacy technician salary was $29,320 per year or $14.10 an hour (Occupational Outlook Handbook, 2014). The salary that a pharmacy technician earns largely depends upon the geographic location of employment. Pharmacy Technician Salary ranges are higher in states with large urban centers and lower in rural, less-populated areas of the country. According to the Bureau of Labor Statistics, pharmacy technicians in the District of Columbia earn the highest average salary of approximately $40,000 a year. Washington, Alaska, California and Hawaii follow closely behind as the next three highest paying states with pharmacy technician salary averages from approximately $36,000 to over $39,000 (Fanello, 2014). The kind of organization in which a pharmacy technician works also influences salary amount. Technicians working in a large, well-funded hospital tend to earn more than those who work in an individually-owned pharmacy. For example, Glassdoor reports that the median rate for a pharmacy technician is $22.15 an hour at Kaiser Permanente but only $9.52 an hour at Kroger. Within this range, pharmacy technicians employed at Costco can expect to earn an average of $17.44 an hour and $12.58 an hour at Target (Glasssdoor, 2014). The US Bureau of Labor Statistics reports that in 2012, pharmacy technicians working in Ambulatory healthcare services earned a median salary of $35,470. Those working in local, state and private hospitals earned $33,550 and $28,030 in pharmacy and drug stores. Important to note is that in 2012, only three percent of pharmacy technicians worked in Ambulatory healthcare services. In contrast, 70 percent of employed pharmacy technicians worked in pharmacies, drug stores and hospitals (Occupational Outlook Handbook, 2014). Pharmacy technicians must have a high school diploma or GED. Most employers offer on-the-job training that enables technicians to learn how to perform all the required duties. Even so, experienced, well-trained technicians will have more ability to negotiate higher starting pay than those who with less experience. In addition, those in supervisory roles can expect to earn up to $42,000 a year. The salaries of less experienced, unlicensed pharmacy technicians may start at approximately $20,000 a year or $9.00 an hour (Fanello, 2014). Though not always required, successful completion of a post-secondary pharmacy technology program can also help job seekers get hired at a higher Pharmacy Technician Salary. Many community colleges and vocational schools offer pharmacy technology programs that include classroom instruction and clinical, hands-on experience opportunities. In 2012, there were 213 programs fully accredited by the American society of Health System Pharmacists. These programs must contain at least 600 hours of instruction over a minimum period of 15 weeks (Occupational Outlook Handbook, 2014). Not all states and employers require a pharmacy technician to be certified, though many do. Nevertheless, technicians who possess current certification through the Pharmacy Technician Board or the National Healthcareer Association may be able get hired more easily and earn higher starting pharmacy technician salary than those without. Some employers will pay for their technicians to take the certification exam (Occupational Outlook Handbook, 2014). Previous What Is a Paralegal Job?